As I close out my first year of being natural and embark upon my second, I’ve come to realize one thing…YOU have to take the time to know YOUR hair. That’s it. There is honestly nothing more to say but I’ll take the time to elaborate further. Embarking on a natural hair journey begins with excitement and apprehension. You have no idea what to expect or how to deal with the hair that is growing out of your head. Many research by watching natural hair videos on youtube, following their favorite youtubers on every social site they have, and reading natural hair blogs, threads, and books. These avenues are very inspirational and very informative. However, you will have absolutely no idea what will work for your hair until you get your hands in it and develop a consistent regimen for yourself. Every product that works for someone else will not work for you. Even that statement is layered in its accuracy. For example, it may not just be the ingredients that makes your hair hate it. It could be the way you place it on your hair, the amount of product you used, putting it on damp hair versus soaking wet hair. All of the combinations are many but the point is the same, experiment for yourself. If you have seen or read how someone used a particular product on their hair, it is okay to use that as a guide to get started. The key word being ‘started’ because that is what a guide is, a starting point. The purpose of a guide is to assist you in helping you reach a destination. Take note of those awesome moments when you have hit your hair out of the park. Remember what state your hair was in, was it freshly shampooed or did your use cleansing condish? Was it on damp, wet, or dry hair? How did you apply your products, in what order? You will be surprised how much these things matter or not depending on you. You’ll never know unless you try will you? Lastly, be consistent and patient. Ignoring your hair for several weeks at a time then watching a youtube video and deciding I want my hair to look like that will make you take several seats every time. 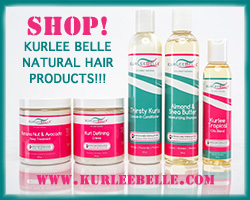 Your hair thrives on the proper balance of moisture and protein. When these are not in place any attempted style is going to be a disaster. So spend a lot of time learning and understanding protein and the different types as well as learning the difference between a moisturizer and a lubricant (oils, butters). Having the proper protein/moisture balance sets the foundation for an excellent style. Also, learn why you are using a product, oil, etc. Don’t just use something because someone else used it and their hair looks great. Research the benefits and the cons of using each product you are considering adding to your regimen. Use products purposefully not because they are new and popular. Understand that in the first 2 years of your journey that your methodology can and will change as you get to know your hair better and the things it likes and dislikes. Be intuitive and listen to your hair and those little ideas that come to you while you are doing your hair. I’ve found that that is when I’ve had the best ideas to help me when there was an issue I just could not figure out. Lastly, there are products that can make your hair look great but it doesn’t feel great. Don’t sacrifice looks for the integrity of your hair. Hey ya’ll! As you can tell by the title I am now on youtube! I just completed my introduction for my 1st youtube video. You can tell I was hella nervous the entire time lol. Hopefully I’ll get better as time goes on. Check it out and please subscribe!! Today is my 1 year anniversay Length check! 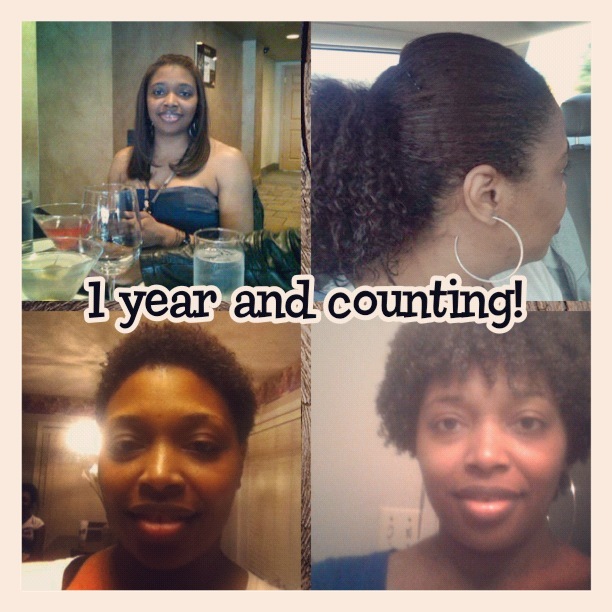 I can honestly say that I am pleased with my hair’s growth over the last year. I did my best not to worry about it so much. That’s why I decided to measure my hair every other month to allow myself time not to obsess over every inch. So far so good! My hair is several different lengths…is that normal lol? Anyways, I’m very pleased at the progress and I can’t wait to see where I am next year!